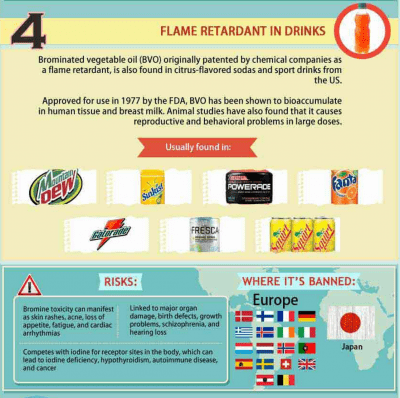 All 17 of these items found in food products are banned in other developed nations, but Americans keep eating them because they don't know the health risks. If major foods are banned in other developed nations because of serious health risks, why is it that America has yet to ban them as well? The answer is likely that those products are made by huge corporations who donate large sums of money to Congressmen and women who then turn around and crush bills that suggest banning the products. 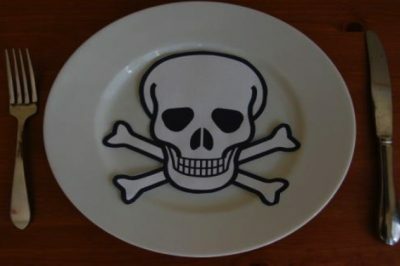 The alternative option Americans have for avoiding dangerous food products is by educating themselves and banning those products from their own diet. They can also inform their friends and family so that maybe, someday, enough people will refuse to consume the product and the corporations will have to make a change. It’s a shame that it has come to this and that America’s system of democracy has been so obscured by money in politics that the health of our nation’s citizens is in the balance, but it’s important to make personal changes in your own life before you can effect change in everyone else’s. Here’s a list of 17 foods that are banned by several nations worldwide and that Americans should cut from their diet. 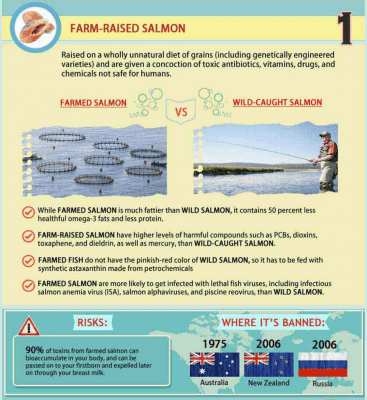 On top of these health risks, farm-raised salmon are also very bad for the environment. Seals, sea lions, and birds often get trapped in the nets around the salmon farms and drown. The pellets used to feed these salmon use more fish than are produced in these farms, making this practice highly unsustainable. The farms also cause huge declines in wild salmon populations, which is bad news for coastal ecosystems. 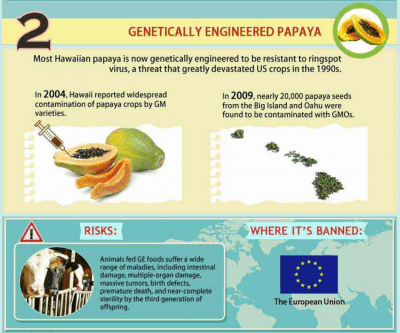 You can avoid purchasing GMO papayas by buying the certified organic variety. You should also avoid papayas from Hawaii because of the possibility of cross-contamination, and instead purchase ones from Asia, Brazil, Belize, or Mexico. Varieties of non-GMO papayas include Kapoho, Mexican Red, Caribbean Red, Maradol, Royal Star, Singapore Pink, and Higgins papayas. Common GMO papayas are Rainbow, Sun Up, Strawberry, and Sunrise papayas. 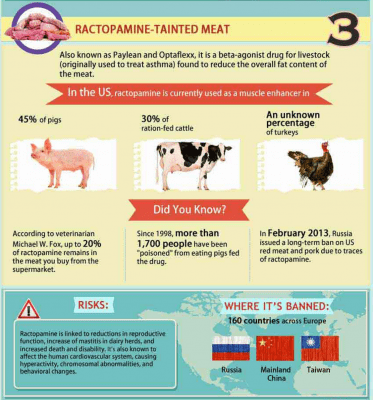 Besides these obvious health risks, all three of these livestock animals are a part of the factory farming industry and suffer from intense cruelty from their birth until death. Pigs live in gestation crates where they can’t move around at all and wind up chewing the bars until they injure themselves because these smart creatures cannot handle being so immobile. Cows also live terrible lives and are exploited for their milk and for breeding purposes. If they somehow reach the slaughterhouse after the exhausting journey there without food or water, they are then stunned and chopped up alive. Chickens are arguably the most mistreated, as chickens bred for meat are given hormones to grow larger than normal, which causes their legs to break. Chickens bred to lay eggs have their beak cut off to prevent them from pecking each other since they are crammed together in unlivable conditions. All of these chickens are then ground up or boiled alive or suffocated in bags.